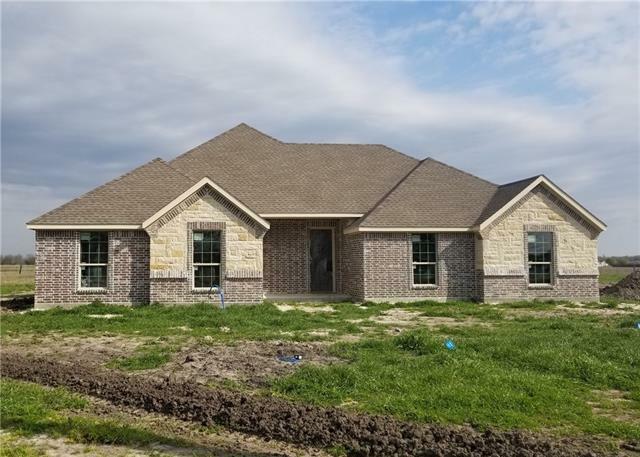 All Caddo Mills homes currently listed for sale in Caddo Mills as of 04/25/2019 are shown below. You can change the search criteria at any time by pressing the 'Change Search' button below. 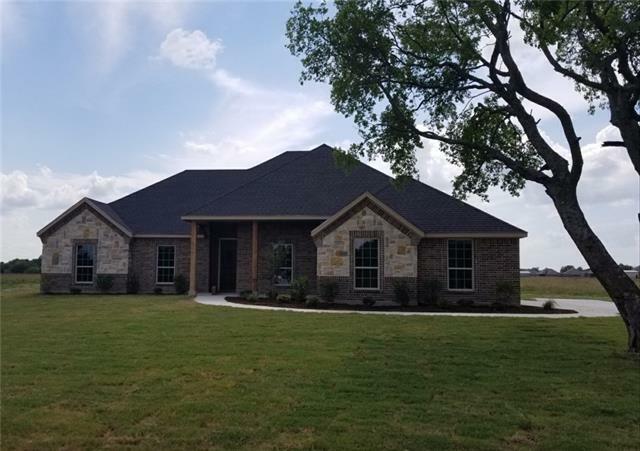 If you have any questions or you would like more information about any Caddo Mills homes for sale or other Caddo Mills real estate, please contact us and one of our knowledgeable Caddo Mills REALTORS® would be pleased to assist you. 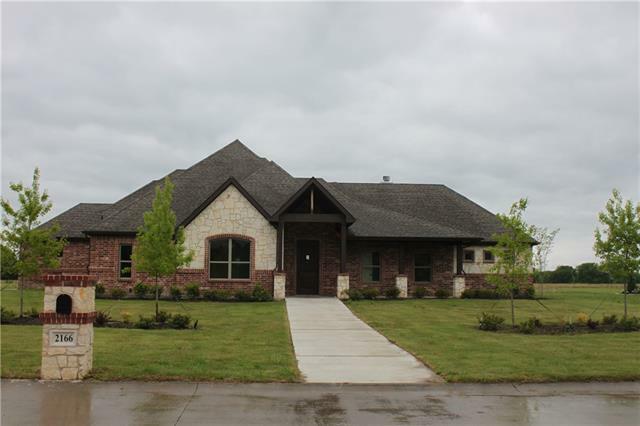 "Reduced GEORGE WELCH CUSTOM 1 STORY sitting on .5+Acre. Room to build a SHOP (if desired). Finish Out in GW's homes far surpass what you'd expect at this price. TRUE Hardwoods, BEAUTIFUL Granite Tops in spacious open kitchen, SS Appl pkg. (GAS C-TOP,DOUBLE OVENS & A SIDE BY SIDE BLT IN FRIDGE & FREEZER). Fantastic design offers 4 spacious bdrms,3.5 BATHS, Private Office & oversized 3 CAR GARAGE! 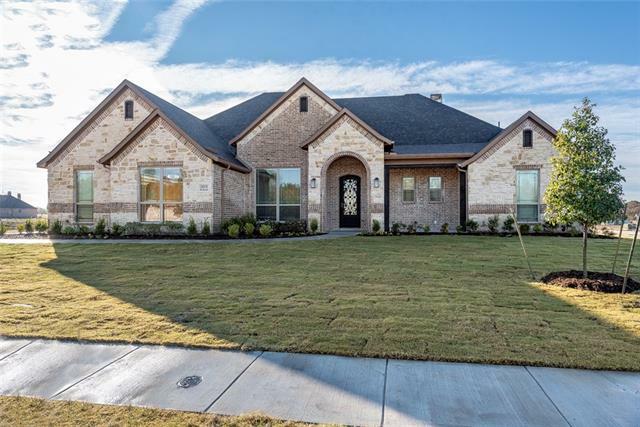 Entertain in your awesome OUTDOOR LIVING AREA COMPLETE WITH BLT IN SS-GRILL, FIREPLACE & FLATSCREEN "
"Impressive ACH Custom Home on a half acre. 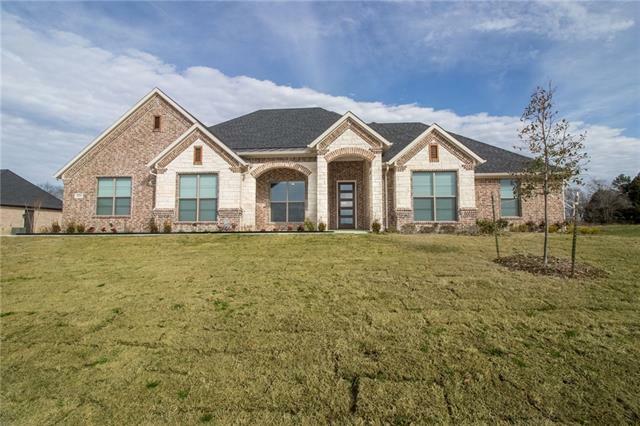 You will love this 4 BR, 3.5 bath floorplan. 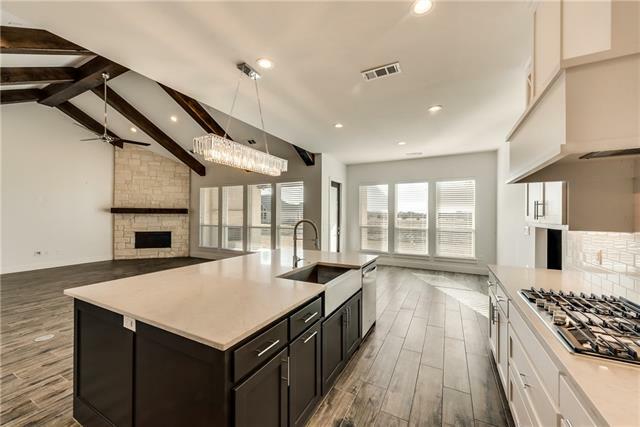 Traditional with a touch of contemporary this property features include vaulted ceilings accented with gorgeous cedar beams, chef kitchen with opulent lighting, Quartz & 8ft doors throughout, exquisite bath with freestanding bath tub. Incredible 2 head walk in shower. Flatscreen & surround sound wiring. Outdoor Quartz living with fireplace, security cameras, radiant barrier, 16 seer ac, tankless water heaters"
"BEAUTIFUL HOME ON 1.5 ACRES LANDSCAPED, SOD SPRINKLER, GRANITE THROUGHOUT, HANDSCRAPED REDOAK WOOD FLOORS, OPEN CELL FOAM INSULATION VERY ENERGY EFFICIENT, CUSTOM CABINETS, POT FILLER IN KITCHEN. LARGE UPSTAIRS GAME ROOM WITH HALF BATH. ACCESS TO LAUNDRY ROOM FROM MASTER CLOSET. LARGE GARAGE CAN HOUSE A TRUCK WITH EASE. BIG FOUR CAR DETACHED GARAGE-SHOP. LOTS OF DEER IN YOUR BACKYARD! 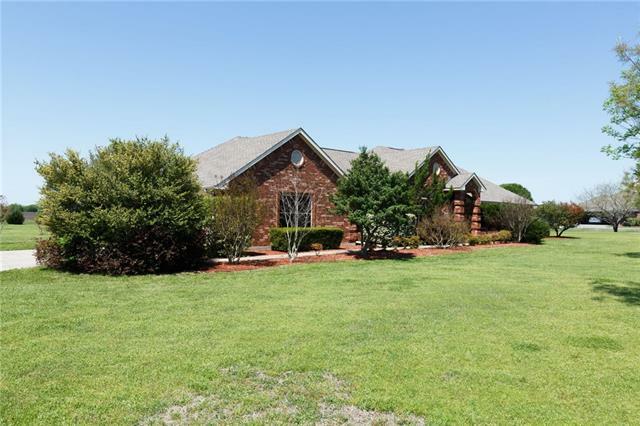 SITUATED WITHIN A FRIENDLY COMMUNITY JUST OUTSIDE CADDO MILLS CITY LIMITS. 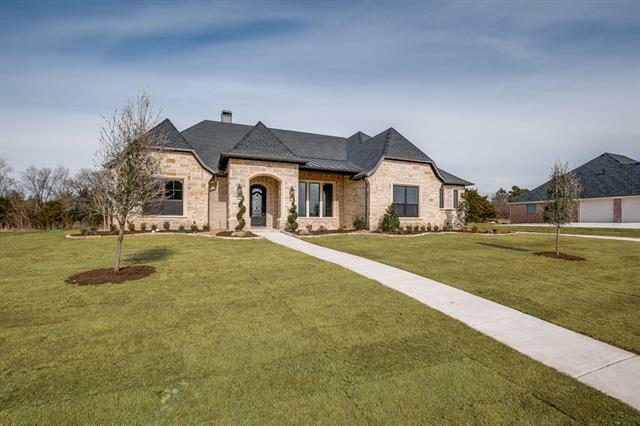 HOME IS IDEALLY POSITIONED TO ENJOY A"
"Beautiful custom home built by S Clements Homes, one of Rockwall County's premier builders, in The Mills of Caddo Mills! 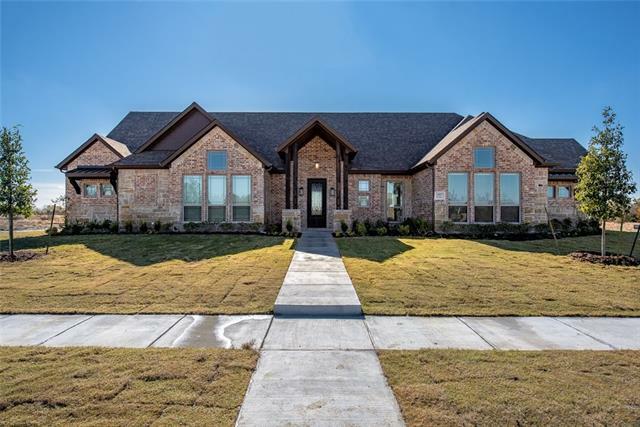 Home features open floor plan, decorative lighting, vaulted ceilings, window coverings, wood, stained concrete & tile flooring. Kitchen with custom cabinets, granite, island, breakfast bar, gas cooktop. Office area off of kitchen. Master with dual vanities, garden tub, separate shower, custom walk in closet. Covered back patio with gas fireplace. Top tier construction like cel"
"SUPERIOR CUSTOM HOMES by Tim Seymore 11 time winner of D Homes Best Builders....The Mills is brand new sub-division in award and recognized Caddo ISD....High speed internet avail...City sewer and Coop Water.....Beautiful open concept brick and stone home with NO details left behind....Beautiful granite countertops in all areas....Loads of real hardwood floors...4 bedroom 3 full bath with study office and OVERSIZED 3 car garage...This sub-division allows for a up to 1500sq ft metal building...cov"
"Beautiful custom home built by S Clements Homes, one of Rockwall County's premier builders, in The Mills of Caddo Mills! 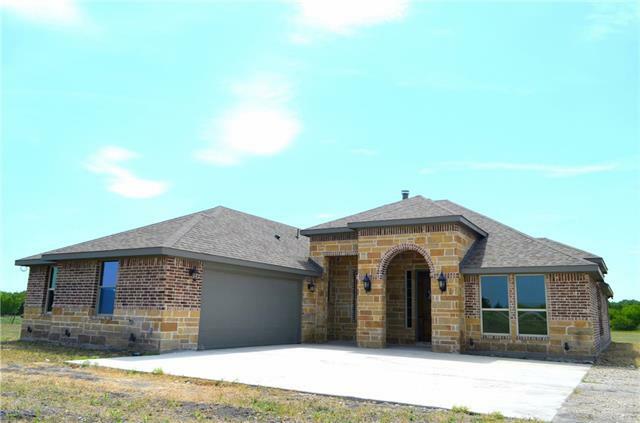 Home features open floor plan, decorative lighting, vaulted ceilings, window coverings, wood, tile, & stained concrete flooring. Kitchen with custom cabinets, granite, double oven, gas cook top, pot filler. Master bedroom with dual vanities, granite, separate shower, walk in closet. Covered back patio with gas fireplace. Top tier construction materials like cellulose insulatio"
"CHREENE CUSTOM HOMES. 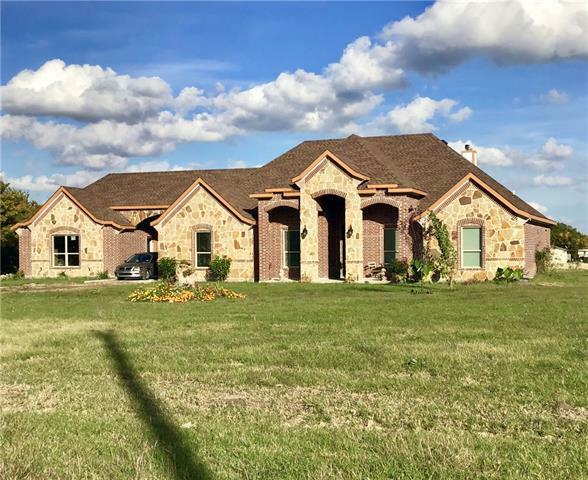 BEAUTIFUL HOME ON 1.5 ACRES LANDSCAPED, SOD SPRINKLER, GRANITE THROUGHOUT, HANDSCRAPED REDOAK WOOD FLOORS, OPEN CELL FOAM INSULATION, CUSTOM CABINETS." "This is a MUST SEE property! Updates galore! 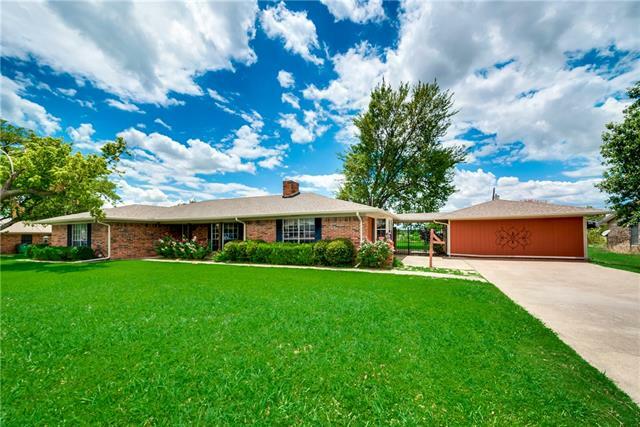 Interior offers ceramic-wood look tile flooring throughout, granite countertops and fireplace hearth, subway tile backsplash, paint, completely updated bathrooms, updated light fixtures, recently replaced windows and ceiling fans. All exteriors, including fence and buildings, are freshly painted. 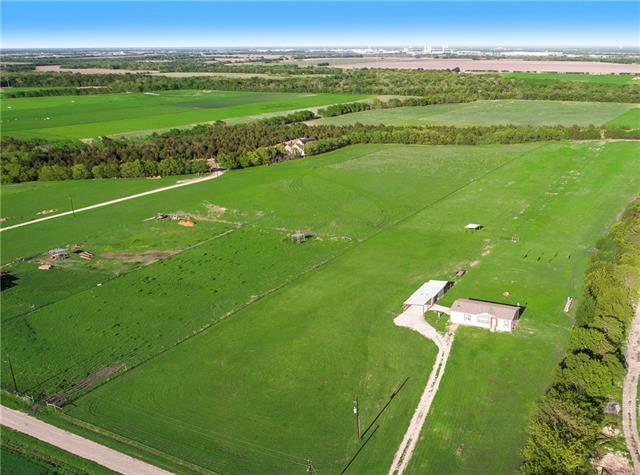 Property offers 5 stall Horse Barn complete with washing station, 2 storage buildings, pond, creek, trees on over 9+beautiful acres. 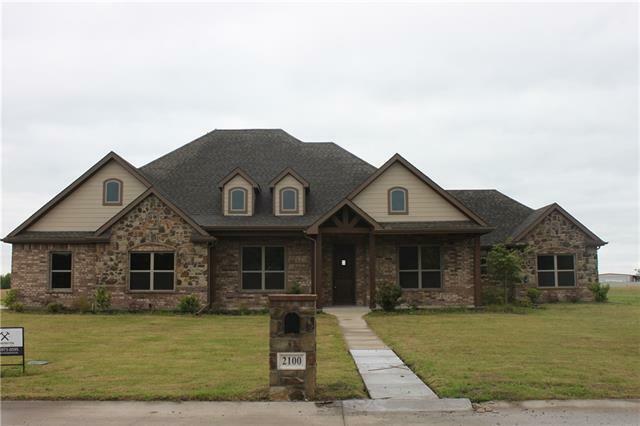 Close enough to high"
"Beautiful one of a kind Custom Built Home on 4 acres in Caddo Mills! 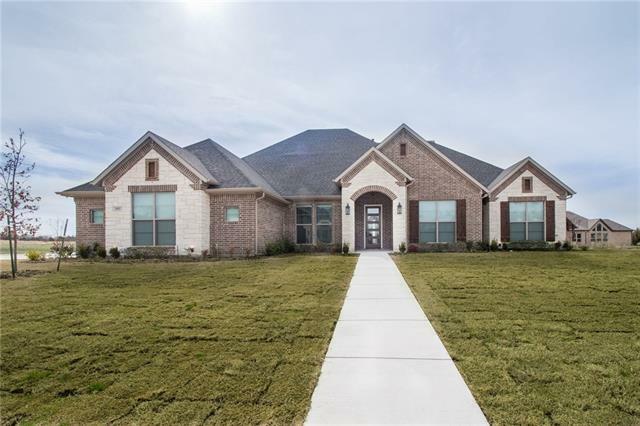 Great Craftsmanship of this Spacious Open Floor plan, 4 bedrooms, 2.5 baths, 1 Study with Cabinetry, Formal Dining, Breakfast Nook, 10ft vaulted ceilings, granite counters, wood-like tile floors, custom built cabinetry, Island kitchen includes pot filler, Appliances, dishwasher, microwave, cooktop, oven & pot filler. Fireplace, storage galore, walk-in closets in bedrooms, covered porch & patio, Luxurious master bath with his & "
"PHOTOS COMING SOON! 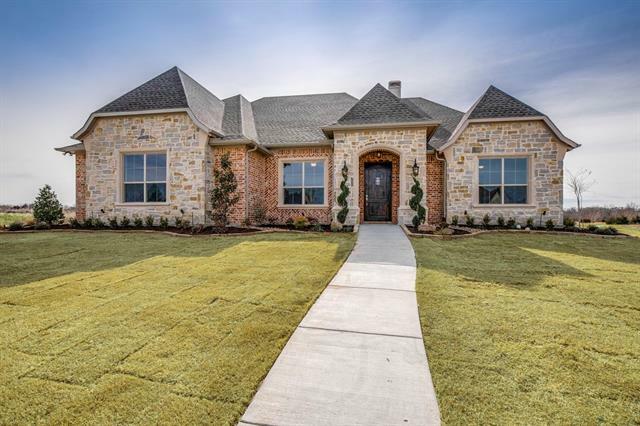 Truly custom with high-end finishes and only a 7-minute drive to Interstate 30. This home has hand scraped hardwood floors in every room including closets, natural stone in kitchen and baths, granite in kitchen, baths and laundry room. Stainless Steel Appliances, 4-inch crown molding throughout the house, 6-inch baseboard molding throughout the house. Two car garage with porte-cochere, carport, and a pond." "TEXAS DIAMOND CUSTOM HOMES. 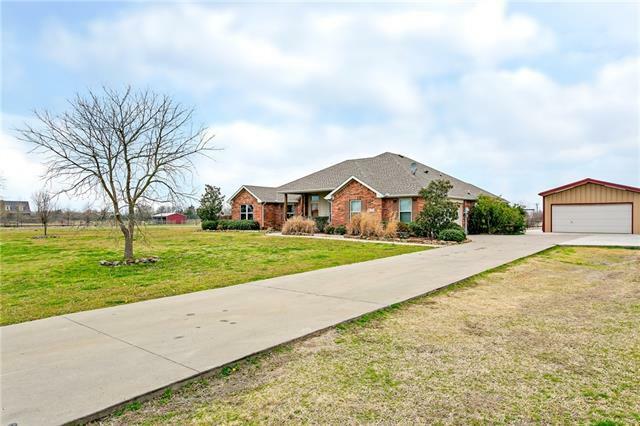 BEAUTIFUL HOME ON 1.5 ACRES LANDSCAPED, SOD SPRINKLER, GRANITE THROUGHOUT, HANDSCRAPED REDOAK WOOD FLOORS, OPEN CELL FOAM INSULATION, CUSTOM CABINETS. LARGE MASTER SHOWER, STAINLESS STEEL APPLIANCES INCLUDED." 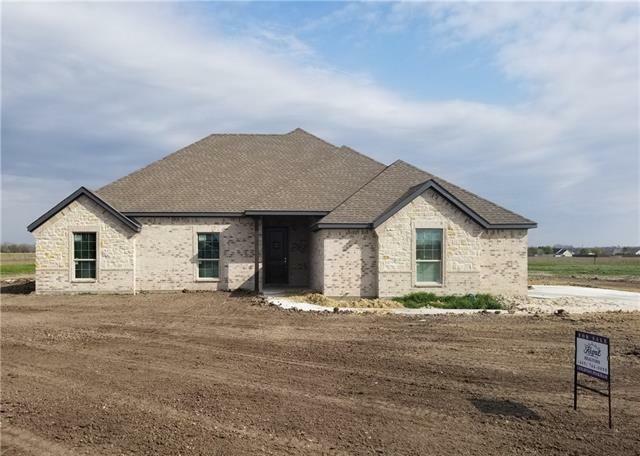 "Gorgeous new construction home in Caddo Mills on one acre where there are no restrictions in the community. Animals RV's and shops allowed. This home will feature 4 beds with 3.5 baths with completions set for the beginning of June. Spacious floor plan with finish outs to include: hand scraped hardwoods, granite throughout, custom cabinets, wood burning fireplace, tile backsplash, ceramic in wet areas, crown molding, oversize bathtub and separate shower, brushed nickle hardware, raised ceilings,"
"Looking for your own mini ranch?! This is it! 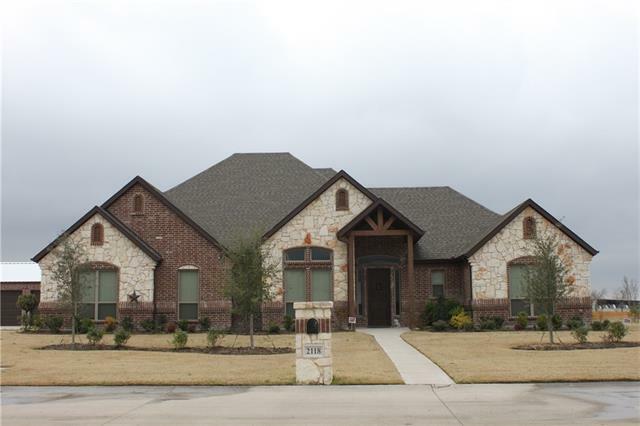 Home features large rooms, three bedrooms, three bathrooms, two dining areas, and two fireplaces. Master suite has outside door to pool. Many updates include granite counter tops throughout, hardwood floors and tile throughout, paint, appliances, roof, too many to list! 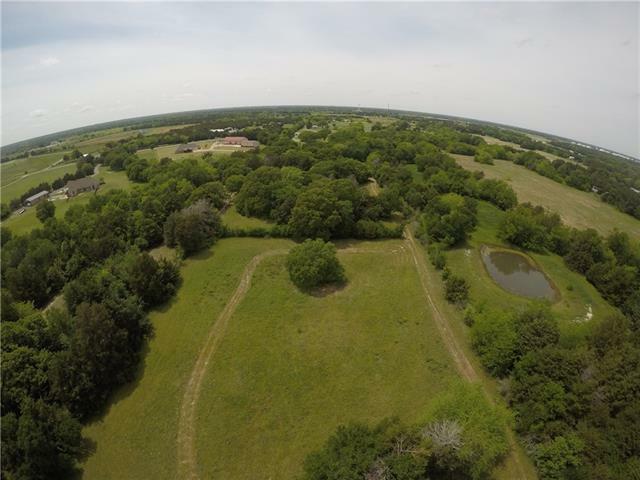 Home sits on 5.68+- fenced acres. Work shop with lawn mower shed, fenced garden area with 15 garden boxes, fruit trees, & grapevines. Chicken houses, barn and man cave. 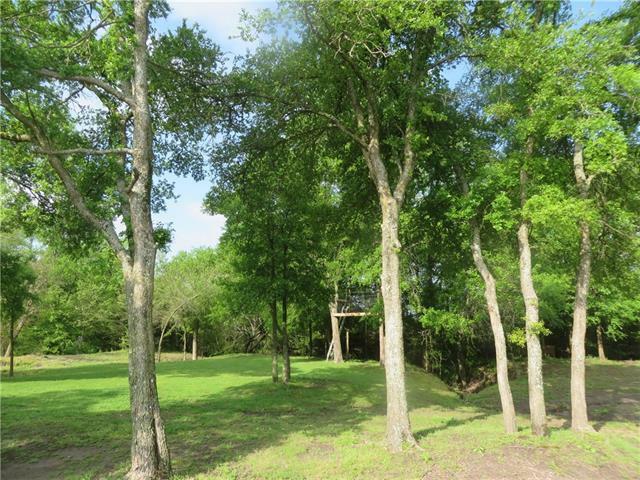 Approximate 1 "
"This lovely Country home is situated on 2 acres with a pond in sought after Caddo Mills ISD. Spacious open floorplan with big kitchen featuring large nook, breakfast bar with ample counter and cabinet space. Formal dining plus private study. Open living area with corner fireplace. Split master bedroom with bay windows and great master bath with garden tub and separate shower. 3 large secondary bedrooms with 2 more full bathrooms. 36x20 insulated shop with 2 doors and 220 electric. 15x"
"TREES in CMISD...Up to $6000 CLOSING COSTS CONTRIBUTION by seller. Room to roam and explore on wooded 3 acres...Could be 4 or 5 bedroom with 2 additional rooms with closets.Over sized master with patio access door and large secondary bedrooms. Kid friendly on 3 surveyed acres. Open floor concept with luxury vinyl plank flooring and tile throughout. 2 living areas; office;chip seal drive; carport and 2 storage buildings 14.5 seer main unit. 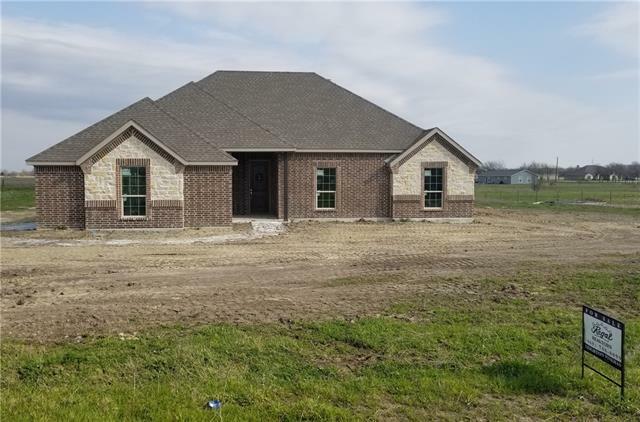 2nd unit zoned for second living, upstairs and add on r"
"Close to completed Castlerock Custom home on acre lot in Caddo Mills ISD. Absolutely stunning finish outs that will include: hand scraped hardwoods in living kitchen and halls, granite throughout, stainless steel, knotty alder custom cabinets, tile backsplash, ceramic in wet areas, crown molding, oversize bathtub and separate shower, oil rubbed bronze or nickel hardware, raised ceilings, landscape package, sprinkler system, 2 inch wood faux blinds included, and finished garage with opener. Mas"
"Get away from it all! Come tour this amazing property with many possibilities. 20 ACRES IN AG EXEMPTION. Can be grazed or baled. UNRESTRICTED. Over half fenced in 6 string bar wire. Remaining open for hay pasture or hunting. Lean to, concreted deep for animal shade. Backyard fully fenced with large gates. Fruit trees include apple, pear, peach & plum. Feeder and deer stand on property. Move-In ready 3BR, 2 bath. 20x30 WORKSHOP with 20x20 carport, 20x20 back over hang. CADDO MILLS I.S.D." 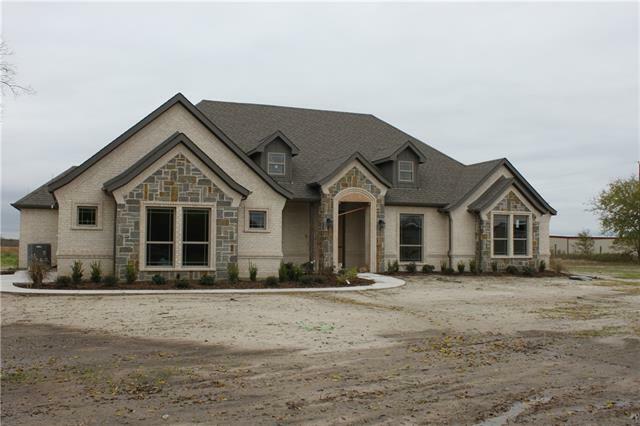 "Nearly completed Castlerock Custom home on 1 acre lot in Caddo Mills ISD. Absolutely stunning finish outs that will include: hand scraped hardwoods in living, kitchen, halls and bonus room. Granite throughout, stainless steel appliances, knotty alder custom cabinets, landscape package, sprinkler system, tile backsplash ceramic tile in wet areas, crown molding, oversize bathtub and separate shower, oil rubbed bronze or nickel hardware, raised ceilings, 2 inch faux wood blinds, and finished gara"
"From the bright front entry to the serene sun room, this 3 bedroom house (plus a study!) is the perfect place to call home. The kitchen features under cabinet lighting, tons of counter and cabinet space and a spacious breakfast area open to the living room. The master suite has 2 walk in closets, dual sinks, and stand up shower. Laminate wood flooring throughout! Over 2ac with mature trees, detached 2 car garage or workshop with 220v electric. Separate septic and electric hookups for RV. 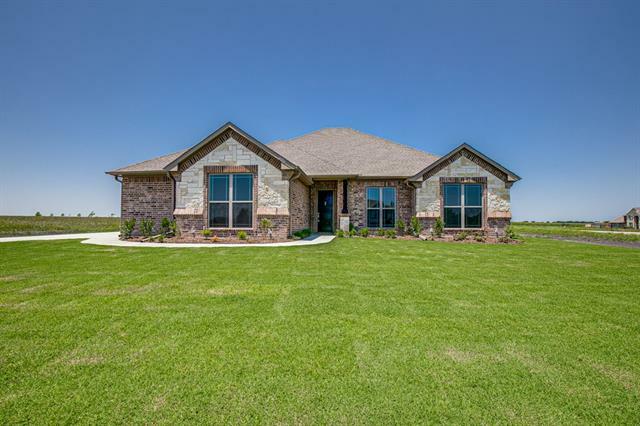 New hea"
"Nearly completed Castlerock Custom home on 1 acre lot in Caddo Mills ISD. Absolutely stunning finish outs that will include: hand scraped hardwoods in living, kitchen, halls and bonus room. Granite throughout, stainless steel appliances, knotty alder custom cabinets, landscape package, sprinkler system, tile backsplash ceramic tile in wet areas, crown molding, oversize bathtub and separate shower, oil rubbed bronze or nickel hardware, raised ceilings, 2 inch faux wood blinds, and finished garage"